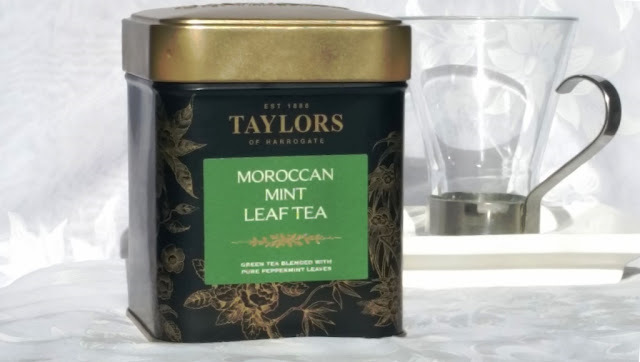 If you are a tea lover looking for the latest ethnic trend, follow me unboxing a can of Moroccan Mint Leaf Tea from worldwide famous British brand Taylors of Harrogate. Hope you enjoy as much as I did this step by step experience. Tea served in Morocco is an infusion of fresh mint leaves which may include traditional tea leaves, with a lot of added sugar. 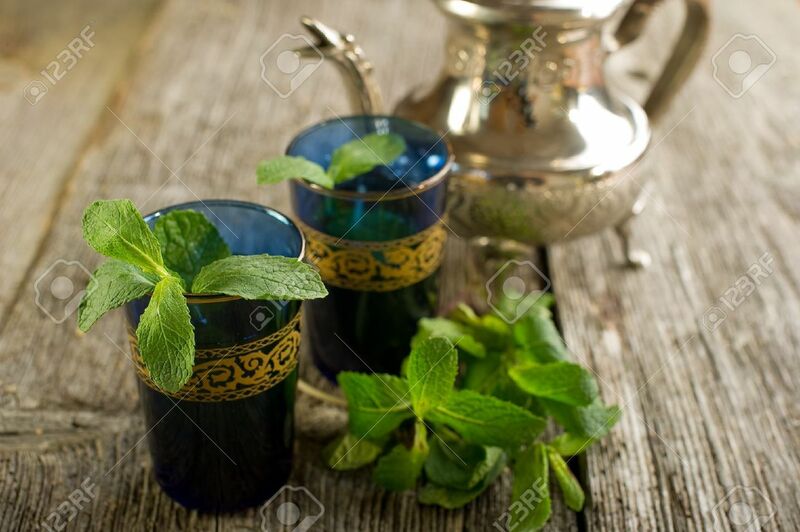 It is very refreshing and appropriate for the summer ... the desert sands ... mint leaves deliver that almost cold taste in the mouth, very much what we just lack. Taylor's Moroccan Mint Leaf Tea is a free version of the original Moroccan tea with green tea and dry peppermint which gives it a very intense flavour. First of all, it’s a can, a lovely can with a very tasteful design, a very fine golden finish atop while the sides are decorated with oriental inspiration. 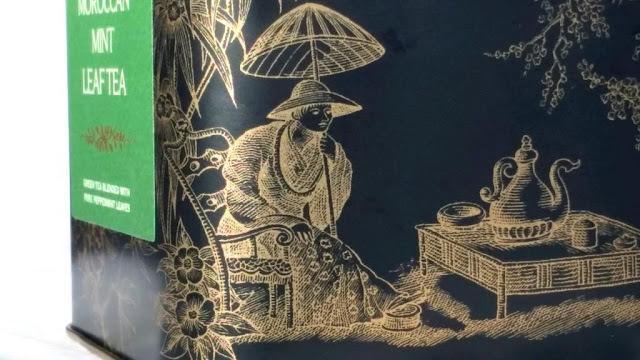 Oriental scene engraving... but weren't we in Morocco?? Anyhow, it's beautiful! In Taylors own words, how to brew its tea. 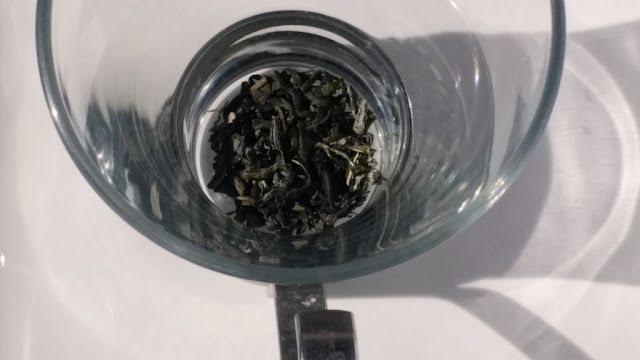 After opening the can, we don’t find the lose leafs but a handy "golden" bag with a re bondable closure which is ideal for storing the tea for a long time keeping all the flavor and quality. Once I opened the bag, I show a close up of the blend: green tea leaves and dried mint leaves and even some dried flowers, although I think it is also flavored. 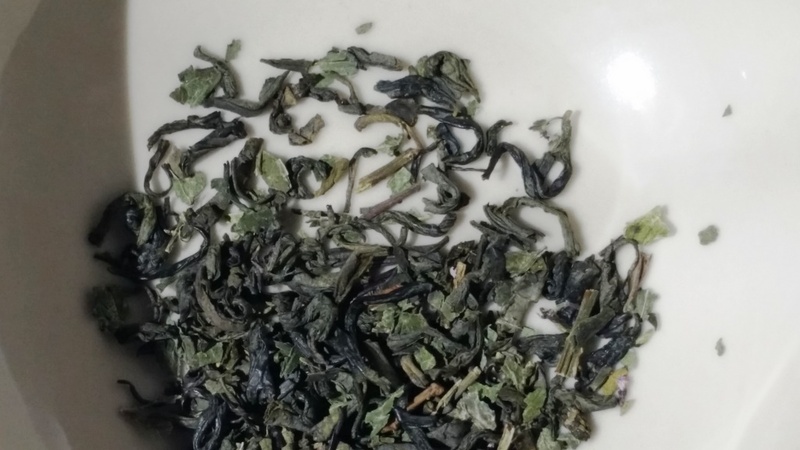 To brew the tea I used a few grams in the cup; too much of it results in an unpleasant bitter taste. 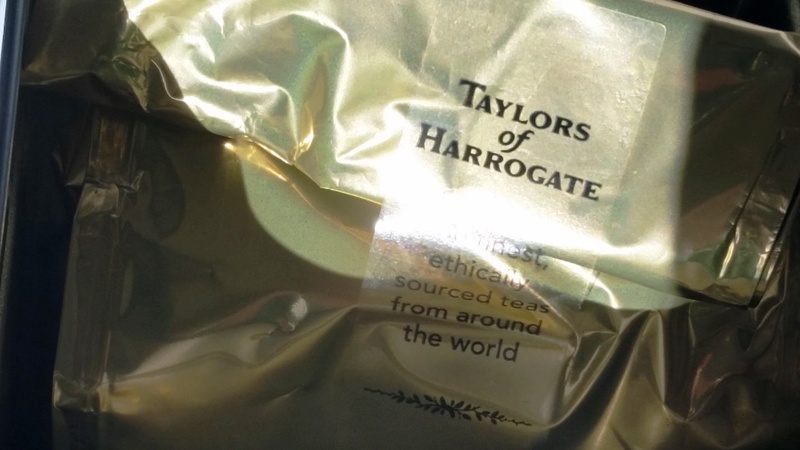 The broth shows its distinctive golden green colour; just don't try to make it darker because the flavour will become bitter and ruin the brewing. 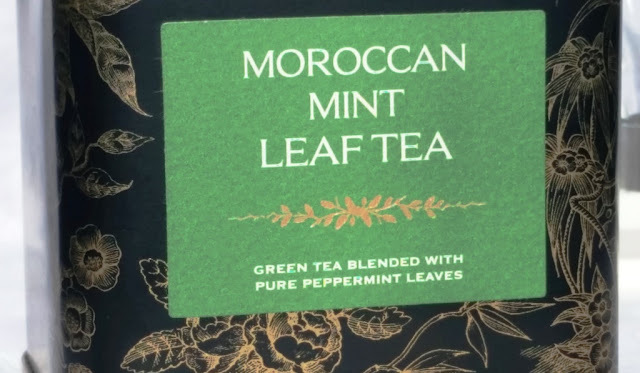 The mint flavor is quite intense at the opening and gives a very refreshing feeling that maybe it's not what you usually expect in this infusion. 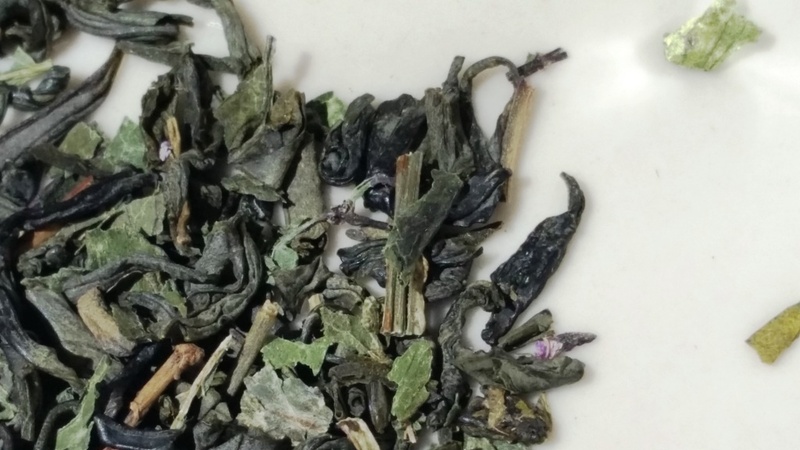 The green tea leaves in the blend are of good quality but not dazzling. 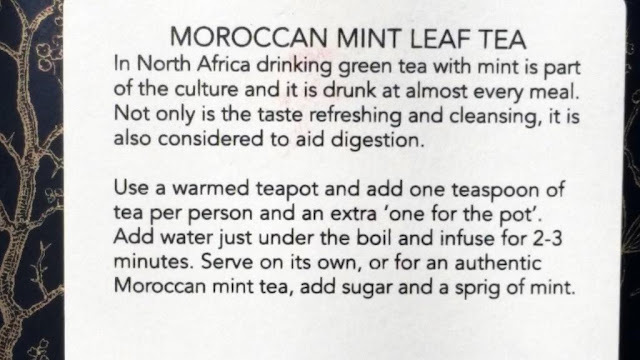 I think Moroccan Mint Leaf Tea is an interesting acquisition for a tea collector, a tea lover who enjoys the latest trends. 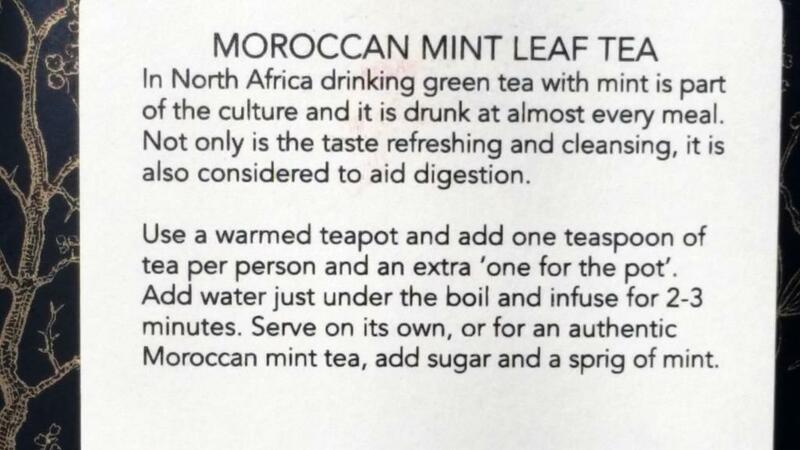 It is a tea a bit difficult to pair... I'd say it matches chocolate brownies or cake but not so much savory sandwiches or brioches, peppermint flavour is just too strong. 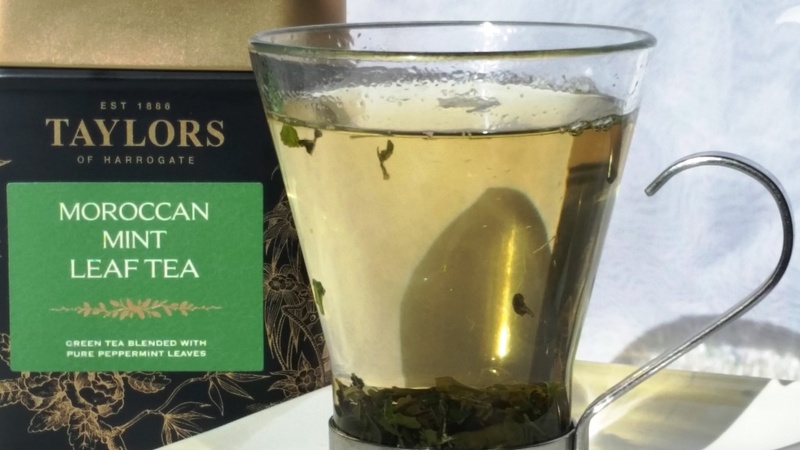 It is a tea that I would rather enjoy during summer or spring and naturally think it is a good candidate to iced tea. 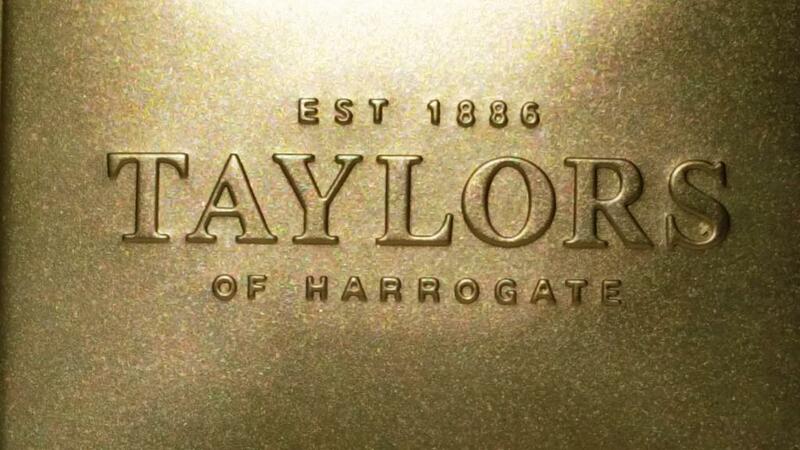 Found the post interesting and want to keep on reading?